1 "Labor Movement is the Solution"
2.1 SEIU's agenda is "my agenda"
2.2 Obama does "everything he could to help us"
"Labor Movement is the Solution"
SEIU's agenda is "my agenda"
Obama: "SEIU's agenda is my agenda." 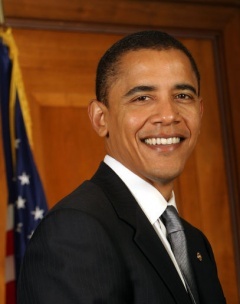 On September 17, 2007, Obama spoke at the SEIU Member Political Action Conference which was held from September 16 - 18, 2007. At the conference he reaffirmed his commitment to pursuing the SEIU's agenda were he elected President. Obama does "everything he could to help us"
"There has never been a fight in Illinois or a fight in the nation where our members have not asked Barack Obama for assistance and he has not done everything he could to help us,"
On February 15 2008 SEIU announced its endorsement of Barack Obama for president. SEIU members are supporting Obama with an aggressive political effort. With more than 150,000 members in the upcoming primary states, including Wisconsin, Ohio, Pennsylvania, Rhode Island, and Texas, SEIU will mobilize thousands to go door-to-door, work the phones, and will send mail about their support for Obama. SEIU also will have a substantial presence on television and radio in every critical state. Andy Stern stated, "Barack Obama is creating the broadest and deepest coalition of voters we’ve ever seen." At a meeting, January 2013, to push his own plan for immigration reform, Obama met with Cristina Jimenez of the United We Dream , as well as others. Organizations included in the meeting were the AFL-CIO, SEIU, the NAACP and the National Council of La Raza. Additionally, other immigration reform advocates and business leaders, who represented Goldman Sachs, Yahoo!, Coca Cola, the Marriott and others, were present. According to the Associated Press, Obama planned to discuss the reform itself, as well as "how it fits into his broader economic agenda." This page was last modified on 9 February 2013, at 05:18.